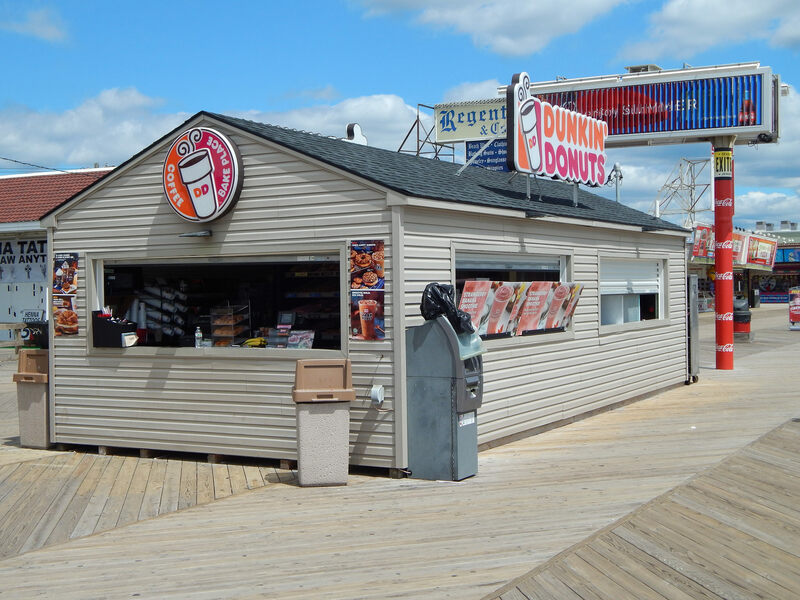 The Seaside Heights boardwalk will be without a Dunkin’ Donuts this season, however the borough council has opened the bidding process which will allow a new business owner the start a breakfast eatery in the location. Borough Administrator Christopher Vaz said the lessee of the kiosk-style building near Hamilton Avenue defaulted on the lease, necessitating the re-bidding process. The tenant and Dunkin’ Donuts are, themselves, in litigation, he said. While it is unknown whether a new lessee will open a Dunkin’ Donuts franchise or simply run their own enterprise, the property must serve breakfast-type food. The bids, specifically, call for a “coffee and breakfast food concession” to be operated at the kiosk.